Tim Stubson is a Partner in the firm’s Casper office. His practice focuses on complex commercial litigation including litigation in the areas of employment, banking, construction, oil and gas and health care. Tim also has significant experience handling appeals before the Wyoming Supreme Court. Tim has tried cases in federal and state courts across the state of Wyoming. Tim graduated with honors from the University of Wyoming Law School in 1997. Following graduation, he clerked for U.S. District Judge William F. Downes in the District of Wyoming. Tim spent 13 years practicing with the law firm of Brown, Drew & Massey LLP before joining Crowley Fleck in 2011. 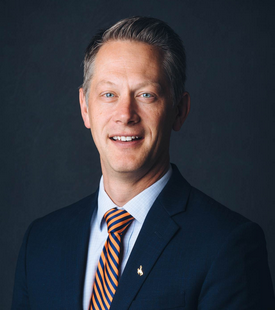 Tim is also active in public service and served as a member of the Wyoming House of Representatives from 2008-2016, including a term as House Majority Whip and a term as Speaker Pro Tempore. Tim and his wife have two sons and spend their free time enjoying Wyoming’s wild spaces.